Ripple (XRP) is indeed one cryptocurrency that has gained momentum within the space over the past few years. Due to its products, xRapid and xCurrent, the platform is gradually increasing the attention of global banks, exchanges, and financial institutions. Although the idea of mass adoption of cryptocurrencies like Bitcoin and Ethereum may seem a little shaky due to the dismal performances in the markets recently, they, along with others, are still backed by large corporations and communities. This signifies the possibility that adoption will continue to grow at a fast rate. So far, Ripple XRP has made significant partnerships to move its platform even further than where it is currently. From JPMorgan to MoneyGram and even Travela, a travel site with over 500,000 properties in over 200 countries, companies are waiting to partner with them. By the end of 2018, Ripple was notably in the headlines for several of such partnerships with major financial institutions. During the rise of cryptocurrencies in 2017, XRP, like Bitcoin saw a significant increase in its price, to heights that were completely unexpected by the vast majority of its users. Those who held various amounts of the coin saw it increase in value by more than 500% between April 2017 and December 2017. The boom was one of the most exciting periods in cryptocurrency, and so many coins showed unprecedented levels of profitability at that point. At the height of the boom, XRP became the third-largest digital currency by market capitalization. That marked the beginning of the currency’s journey through the spotlight. Maintaining an upturn during the boom was easy, since almost every coin, including Bitcoin, Stellar Lumens, Monero, TRON, and even EOS did it. However, performing well when nearly every other coin is right in the middle of a downturn is a feat. Ripple managed to prove itself in that aspect, in 2018. While other currencies tumbled through the fluctuating crash-and-burn stage which has been termed “the recovery period,” XRP had several bull runs. Since the year was so packed with partnership and regulatory announcements, it was not surprising that the demand for XRP was increasing, and ultimately driving its price up. By the end of 2018, the platform had secured more than 200 partnerships, spread across 40 countries. It had also taken Ethereum’s spot as the second-largest cryptocurrency by market capitalization. According to a Forbes article, Ripple lost only 50% of its value in 2018. This may sound terrible, but compared to coins like Ethereum and Bitcoin which dropped by 88% and 75% respectively, that is a pretty good figure. All of these developments and numbers add up to Ripple’s journey to becoming the strongest cryptocurrency in the near future. 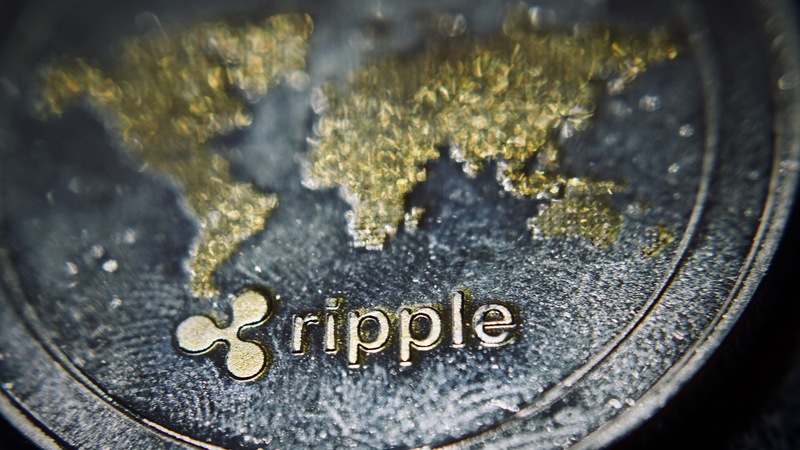 Certain developments played a pivotal role in Ripple’s 2018 success, such as a listing on Coinbase, one of the world’s largest cryptocurrency exchanges with millions of users. This was a big deal for them, seeing as Coinbase is usually a starting point for investors looking to buy currencies like Bitcoin using fiat currency such as USD. Another considerable development was the platform’s regulatory clarification. The Ripple team was able to successfully convince the Securities and Exchange Commission (SEC) that XRP is not a security. Subsequently, in one of its many innovative streaks, xRapid, the blockchain-based version of xCurrent was created. With the state of the current banking and financial system, transferring money from one country to another is a long and stressful process. It also attracts high fees due to currency conversion and third-party involvement. According to a press release by Ripple, xRapid “eliminates delays in global payments while also dramatically lowering cost. xRapid leverages the technology behind the digital asset XRP, to make cross-border payments truly instant.” After a lengthy period of trials, the product was finally launched for public use in October. By giving its users a new way to handle cross-border payments, Ripple is lowering the costs and time typically associated with the process. Cross-border remittance using XRP saves Saudi Arabia $200 million to $400million annually. The platform’s supporting community also grew in size and strength in 2018. It is easy for investors to trust Ripple because it works directly with some of the biggest banks in the world. In a field with as much regulatory tension as cryptocurrency, working directly with banks may be the highest form of credibility there is. Despite all the platform has achieved so far, there is still a lot that has to happen for it to assert its dominance within the space and even surpass Bitcoin. More banks must get involved with XRP products, such that those banks that don’t find themselves at a disadvantage. In essence, Ripple must position itself as the primary cross-border payment facilitator so that banks that do not adopt it could potentially lose customers to those that do. For now, the platform is on the right track, having secured a partnership with JPMorgan. The accessibility, exposure and extra credibility that banks will give the Ripple platform will ensure that even if it does not surpass Bitcoin, it will lay the groundwork for long-term sustenance. In this aspect, Bitcoin is shaky, and many experts have come out to call it a bubble. If indeed Bitcoin does not survive, Ripple may be ready to take its place. Ripple XRP must also ensure that its products can scale to accommodate the growing number of users and transactions. According to the world bank, more than $400 billion in remittances was sent to developing countries in 2018. No matter the perspective, this is a colossal figure, and XRP must be ready to deal with such a load. This way, the banks will be more eager to adopt it as a primary means of payment. According to Ripple’s website, the platform can process up to 1500 transactions each second, showing that it can operate large volumes of payments on a commercial level. This is still quite far from that of Visa which processes about 24,000 transactions per second. Since banks and other financial institutions demand a high capacity, it will also pull investors who recognize the firm’s potential to become more prominent and more used than Bitcoin. For those who watched Bitcoin start from nothing and blossom into a high-value coin that made several people like the Winklevoss twins, millionaires, XRP may be a second chance. Currently, XRP is valued at $0.317, and investors who buy now may have the opportunity to earn huge profits when the XRP price begins to climb to recently predicted figures. There is also definitive proof that The World Bank is considering the adoption of cryptocurrencies. The organization has also reportedly proposed the creation of a blockchain network to make government procurement more efficient. Ripple continues to expand its reach aggressively in a space currently dominated by Bitcoin. Further aggressive adoption of xRapid by banks and other institutions will lead to a future increase in the price of XRP. Although XRP is maintaining its position in second place, it should not be underestimated. The original use-case for Bitcoin does not accommodate diversification or the need for such partnerships, so in a sense, it will always remain stagnant. This is advantageous to Ripple, which is moving at a fast pace regarding development and a clear roadmap.